Brown African Geese will make your backyard vibrant! Geese for sale at californiahatchery.com! Our goslings for sale are the most adorable that you will find! We have a minimum order of just 3 goslings! 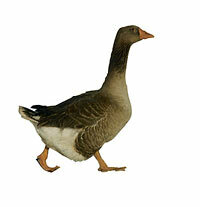 Brown African Geese are very gentle and friendly!